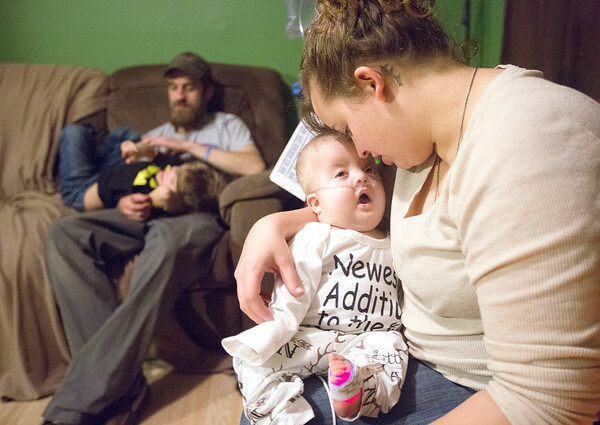 Jessica Mack, right, holds tight to her son, Jaxon Gary while her boyfriend Andrew Gary plays with Mack's son Joshua Swartout on the couch. Mack and Andrew Gary's son Jaxon was diagnosed with peroxisome biogenesis disorder at two-months old. The rare, genetic condition is terminal.